 We moved to London from Wrexham and contacted Platinum Removal for the storage of our household which stayed with them for more than a year. We were really worried about the condition of our items but were very pleased when we received the items. Everything thing was really in the same condition as before, it seemed yesterday when we packed. The people who packed when we kept our items for the storage and those who delivered, were highly professional. They were really very careful with the house and the items. They set everything in the rooms where we asked them to set. Overall it was very high standard service. During the period of stay Kayte was very cooperative and flexible in dealing. Many Thanks Platinum team. I strongly recommend the storage with Platinum Removal. Absolutely first class! Friendly, professional, organised and respectful to us and our stuff! Would definitely not hesitate to recommend! Excellent service both from Kayte in the office and from the crews. Crews were quick and efficient and good humoured. Clearly enjoyed working with each other. No hesitation in recommending. Platinum were very professional from start to finish. Nigel was great doing the survey and fun to get on with. Kayte was great to deal with on the phone and made life easy. However the superstar for me was Sean the packer and removal chargehand. I couldn't believe one man could pack so much stuff in such a short time and so tidy the man is a machine pleasant and a pleasure to deal with. The reminder of the removal crew were all excellent and nothing to much trouble Well pleased with the move to Anglesey from Wrexham start to finish. Cheers to All. Moved house on Monday 10th September and Platinum were excellent. They were flexible and nothing was too much trouble. Would highly recommend! Dean, Andy and Don did an amazing job relocating us. They were friendly, approachable, and worked their socks off. Sorry about the narrow roads and steep hill. These guys worked damn hard, didn't stress and made a stressful moving day less so with their friendly bannter. We can't thank you enough. P.S electrics are now on and water isn't gushing out of pipes anymore. A company that provides a first class service. Nothing is too much trouble, you only have to ask, and the team at Platinum will find the solution. A professional, efficient and friendly business. Thank you all so much.